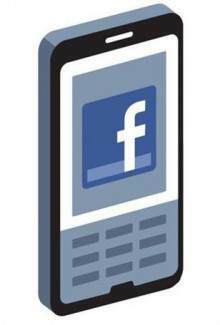 There has been an ongoing rumor that HTC, one of the players in the cell phone manufacturing industry, will soon launch a Facebook Phone. The phone is speculated to be called Buffy. It will be a smartphone with an Android-based platform. The phone’s main feature is its social network capabilities that will make it easy for mobile users to connect with their social media accounts via their mobile devices. HTC is said to have a lot of tweaking to do to be able to integrate social media services to ‘Buffy’. It will also support HTML5. Facebook fanatics will surely be thrilled when this phone will come in fruition. After hitting jackpot with the release of Amazon Kindle Fire just this month, it is rumored that Amazon is going to take another big leap and produce its very own Amazon Phone. The phone will be a smartphone too and will also be priced $200 or cheaper. Amazon is most likely to tie up the phone with their site’s digital content for e-books, apps, movies, television programs and music. It will be really cool if they can add price comparisons of their products so users can shop more conveniently with their handy phones. Amazon is not really new to the offering mobile gadgets. Remember that Amazon already launched a Gingerbread which works on Android 2.3 platform. The company also launched appstore for Android and for Kindle Fire. The Amazon and Facebook phone are pretty exciting gadgets with a lot of promise. There will definitely be a lot of people who will watch out for these cool and feature-packed phones in the near future.